Around 16% of Canadian couples experience infertility, which has increased from around 5% since 1984. Despite the continuous growth with assisted reproductive technology such as in vitro fertilization (IVF), intrauterine insemination (IUI) and intracytoplasmic sperm injections (ICSI) there are modifiable risk factors that still play a huge role in our reproductive health. Below are a few lifestyle risk factors that have been shown to be associated with infertility. Smoking – tobacco use has been associated with menopause occurring 1-4 years earlier than non-smokers and negatively affects sperm production, motility and morphology. Additionally, smokers require around twice as many IVF cycles to conceive and a large study concluded a 28% decrease in live birth rate in smokers undergoing IVF vs non-smokers. Although quitting is not easy, there is promising evidence that women who quit smoking had fertility rates similar to women who have never smoked, so these effects may be reversible. Environmental Toxins – it is hard to avoid exposure to endocrine disrupting chemicals today, however when trying to optimize fertility it is important to minimize your exposure as much as possible. Bisphenol A (BPA), which is often found in plastic has been associated with an increased risk of PCOS and recurrent pregnancy loss, and has endocrine disrupting activity even at low doses. Phthalates, which are often found in products such as deodorant, adhesives, makeup and beauty products has been associated with an increased risk of endometriosis. Polychlorinated bisphenyls (PCBs) have been shown to decrease the live birth rate in women undergoing IVF, and the effects were dose dependent where the higher the serum levels of PCB, the lower the birth rate. To minimize your exposure to endocrine disruptors, avoid the use of plastic food storage containers and plastic water bottles and opt for glass or stainless steel instead. If you only own plastic food containers, ensure you are not heating up your food in the plastic as this increases the risk of the chemicals leaching into your food. Minimize the use of non-stick pans by switching to ceramic or cast iron to avoid exposure to polyfluorinated chemicals (PFCs). If possible, avoid using cleaners, personal body care products and makeup that contain chemical ingredients such as phthalates, parabens, triclosan and “fragrance” or “parfum”. Environmental Working Group has a great Skin Deep resource that helps determine the toxicity of common household and beauty products. Alcohol – the effects of alcohol on fertility are less clear than other factors, however it is a reproductive toxin and increases estrogen levels which can decrease follicle stimulating hormone and suppress ovulation. The effects of alcohol on fertility seem to be dose dependent, where consuming more than 10 drinks per week prior to conception is associated with lower pregnancy rates than consuming around 1-5 drinks per week. When other factors that affect fertility are also present, alcohol use tends to be more prevalent. For example, if a women is of advanced age (over 35) and also consumes moderate amounts of alcohol, her chances of conception become even lower. Body Mass Index (BMI) – Being overweight (BMI >25) or underweight (BMI<20) negatively affects fertility. In men, higher BMI is associated with decreased sperm motility and increased risk of abnormal sperm morphology. Additionally, obesity leads to increased estrogen and decreased testosterone, which can affect sperm production. In women, obesity suppresses ovulation and increases oxidative damage to the ovaries and oocytes (eggs). Exercise – Like BMI, too little exercise or too much exercise has negative impacts on fertility. Moderate physical activity (30-60 minutes for 5-7 days per week) has been associated with better fertility than those who perform physical activity for 15 minutes per day. However, rigorous exercise for >5 hours per week decreases fertility unless the individual has a BMI > 25. In regards to IVF, studies have actually shown decreased chances of success in women who exercised for >4 hours per week. More research is needed to make conclusions about exercise specifically related to IVF cycles, however it seems that low impact physical activity is associated with increased rates of IVF success over high impact, intense and frequent exercise. When it comes to male fertility, moderate physical activity such as weight training and aerobic exercise increases sperm concentration and reduces oxidative stress. If cycling is your choice of exercise, you may want to switch things up while trying to conceive as cycling for more than 5 hours per week decreases sperm parameters by compressing and increasing heat in the scrotum. In general, exercise improves circulation, reduces inflammation and oxidative stress and is beneficial at moderate activity for 30-60 minutes, most days of the week. Forms of exercise such as swimming, walking, yoga and low impact weight training can be beneficial for both male and female fertility. Diet – An anti-inflammatory diet that is comprised of whole foods that are high in antioxidants has been shown to have significant benefit on fertility. This includes increasing the consumption of vegetables, fruit, high fiber low glycemic carbohydrates, lean protein and healthy fats while avoiding or minimizing foods high in saturated and trans fat, processed foods, sugar, refined carbohydrates and preservatives. By avoiding these foods and consuming a whole foods diet decreases the risk of oxidative stress and ovulatory infertility. 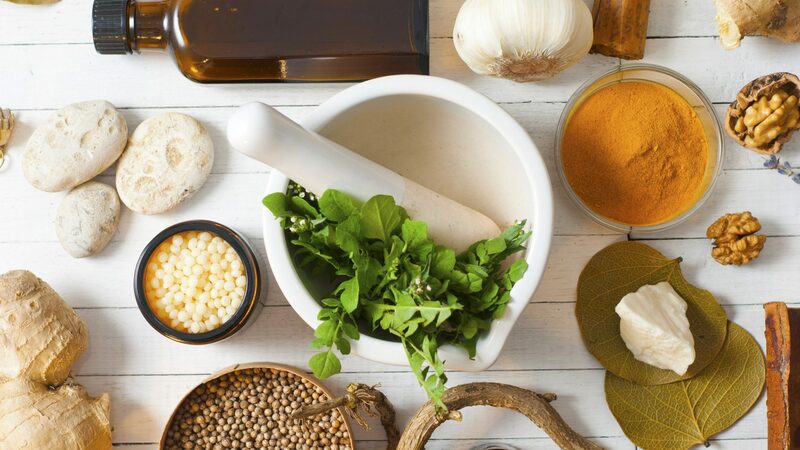 Naturopathic Doctors have many tools to help optimize fertility, but most importantly will try to determine the underlying cause or risk factors that may be contributing to decreased success of conception. Besides diet and lifestyle modifications, NDs may choose to do further investigations to determine underlying pathologies or hormonal imbalances and may include treatments such as supplements, botanicals, fertility acupuncture and emotional counselling. NDs can also work with fertility clinics to provide support during an IVF cycle to optimize success, and will refer as needed to ensure the best and most collaborative care possible. **This information is for educational purposes only. Talk to your doctor before changing any aspects of your daily routine.